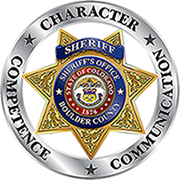 The Sheriff’s Office offers a Ride-Along program for citizens wishing to observe firsthand the duties of a Deputy or Animal Control Specialist. The program is available to participants between the ages of sixteen to eighteen, with parental or guardian approval, and to those over the age of eighteen, subject to the completion of a request form and Waiver of Liability Form. There are some restrictions: applicants with a significant criminal history, or who are deemed to pose a potential hazard to the deputy, the public, or themselves, may be disqualified. A criminal history check will be completed upon receipt of the liability waiver. A Sheriff’s supervisor will review the application, render a decision, and make arrangements. Citizens are limited to one ride-along every six months. Completed applications may take up to two weeks to be reviewed and scheduled.